One of frequently asked questions among new student coming to USA. Where do I sleep? Does apartments come furnished with bed frame and mattress? I have seen students sleep on the floor, couch, mattress, sleeping bag, mattress pad, regular mattress. Spend $50 to $150 to get good night sleep. Don’t try to save money on your good night sleep with will give you good health. It’s not worth spending $40,000 for education, when you can even afford to buy a proper bed for $100. Remember, your health comes first. Without good night sleep, you cannot function properly. During peak semester times, you are going to sleep only for few hours per day and you need proper bed to get a good sleep. It doesn’t cost more than $150 to buy a Twin Size Mattress for you. If you don’t want a Twin Size, then spend $70 to get memory foam mattress topper. It’s difficult for pick the best or right mattress when you are new to USA. Let me educate you about Mattress and how to buy them. Mattress size in USA – Twin, Full, Queen, King and California King (Small to Big). For single person Twin Size is more than sufficient. For families and couples, you need at least Queen Size. There are 3 components to a Bed. You will be sleeping on the Mattress part. Mattress will placed on top of the Mattress Box. Box will on top of the Frame. Frame can be Metal or Wooden. All you need is Mattress to get good night sleep. If you’d like, you can buy the whole set, but it will be expensive, compared to just the Mattress. There are several kinds of mattress (Spring, Memory Foam, Latex, Pillow Top, etc). It’s always confusing to buy a mattress, when there is so many varieties to choose from. Let me make your job very easy. Now, you have narrowed down to buying just the Mattress Part. 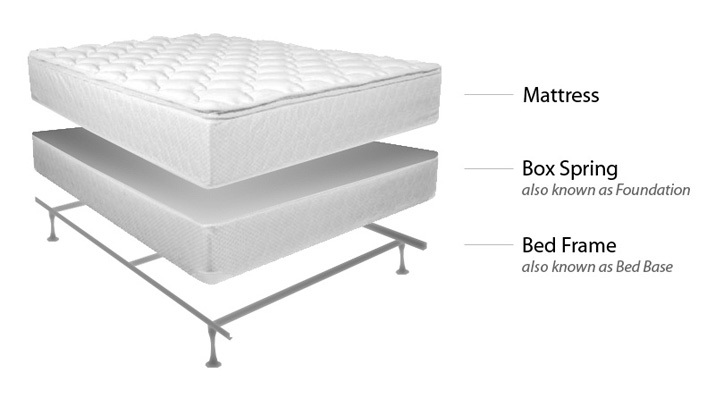 There is another component called Mattress Topper. As the name says, Topper can be added on top of a Mattress. People use topper to add a soft layer to existing Mattress. For example – 3 Inch Memory Foam topper can be added to top of Spring mattress to make the Spring Mattress softer. Its’ sufficient to buy a Topper which is thick instead of buying a full mattress. Topper is shipped in a small box ( like your carry on suitcase). I have shopped for mattress few times, I have spend over 5 hours recently visiting several mattress store to buy new mattress for my home. I was looking for mattress around $1,000 to $3000 range. Easy to transport when you move around. So, there are 2 options Buy a Mattress Topper or Buy a Twin Size Mattress. I will last options for both Mattress Topper and Mattress below. I would invest $135 to buy a 8″ Mattress. It will be tough to transport it, but $135 is worth to get a good night sleep. After you graduate and move to a new place, you can take it with you or sell or give it to someone. Technically a box spring Is kind of an unnecessary component of a mattress. If you see carefully then mechanically its just providing extra spring. So its highly unnecessary even if you have money. Secondly I would suggest an IKEA memory foam Mattress which is cheap and good. Costrd me around 80 bucks. Quiet reliable. And true that.no point saving money on sleep. Its something we would do most regularly. * Consider a futon instead of a bed, as that can double as a couch, if needed. * Shop around for your mattress. Places like the Original Mattress Factory are going to be much cheaper than places that sell multiple brands of mattresses. It is, in fact, where we buy our beds and mattresses from. Also, consider places like Sam’s club to buy a mattress. * Look on Craigslist for beds. Just make sure you check for bedbugs, and seal the mattress in a cover if you go this route. I think that having at least a mattress or something to sleep on is invaluable, as getting sleep is a requirement.